How to Get Rid of Silverfish - Remove Pests from your Home! 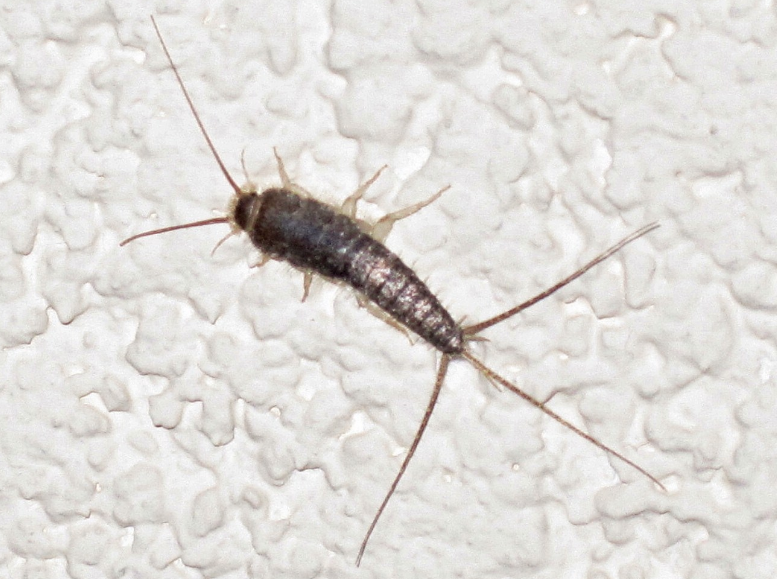 Have ever seen a silver insect running across your bathtub and diving into the drain after turning the bathroom lights on, that is a silverfish. The real question is, how do they get into the house? Silverfish are tiny, wingless creatures that are known to cause mayhem on books and various paper objects. They also wreak havoc on cereals and pastes. 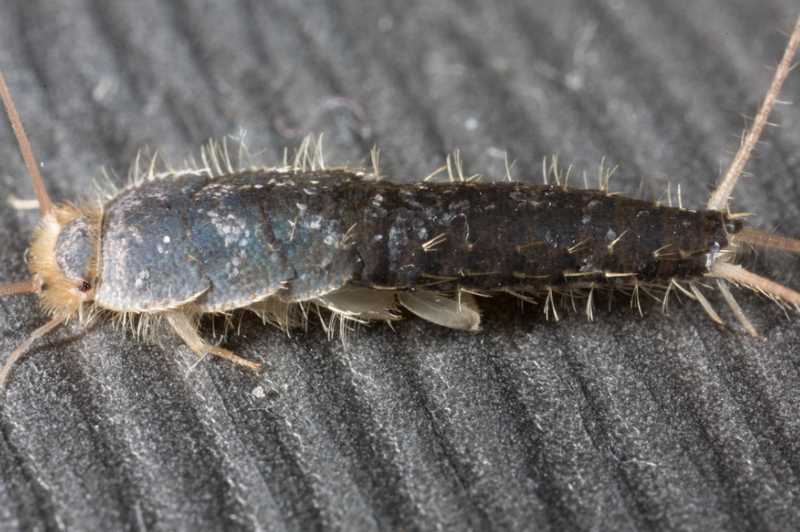 Even though silverfish are not parasites, as they do not feed on humans, their presence can pose a certain sense of horror for the homeowner who discovers them in their house. These insects destroy property! In fact, when books are left too long in the dark, they may become victims of a bug infestation. They love moist places, and they will look for any cracks, damp and any leaking pipes in the house to make a home. They move very fast. This means they can get into the house through any opening without anyone noticing it. So, what is a silverfish? These insects are night-time creatures to start with. They live for two to eight years if left unchecked. They have 2 compound eyes, and if you fail to get rid of them, they can breed and multiply within a short period of time. As their name suggests, they move in a fish-like motion, and when they become adults, they have a silver tint to their exoskeletons. Silverfish usually eat starchy foods. They love kitchen areas and cereal food stores. 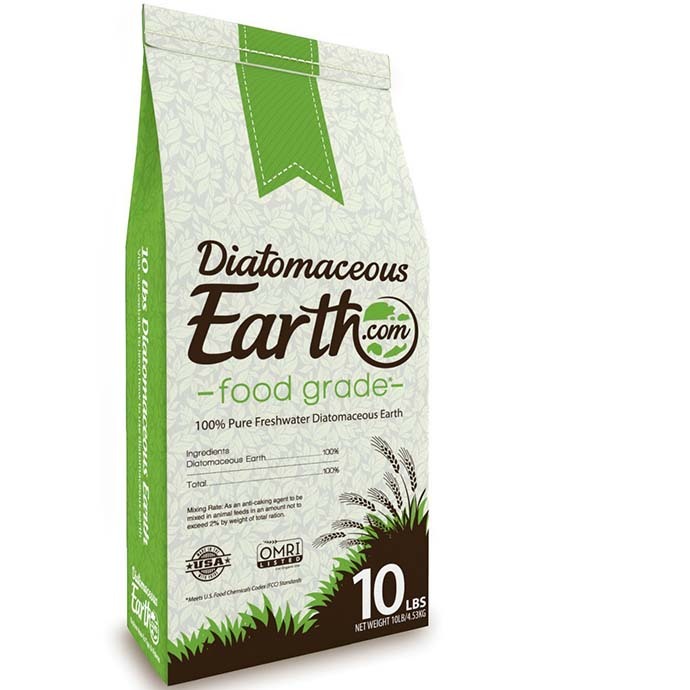 They are also known to contaminate food, but this has not been proven to transmit any diseases. Funny enough, they can live for a whole year without food. However, they are willing to eat anything and everything including even their exoskeletons. Silverfish are frequently found in many metropolitan areas since they only need 80% to 95% moderate humidity to survive. They are found in bathrooms, garages, closets, kitchens and attics. Silverfish are not like other insects. They do not have a mother or queen bug that produces the young ones. If you want to get rid of ants, you can give them poison, and they will all return to the nest where the others will die. When dealing with silverfish, this kind of strategy cannot and will not work. Silverfish do not have a queen. This means they live wherever they wish or can. Remember, they love to live in moist and dark areas. If you notice a leaking pipe, no matter how small the leak is, act on it immediately because it is a prime candidate for a silverfish to set a home. You also need to check for cracks, block up and crevices because this is where the silverfish will be coming from. Just like any other creature, if you take away their food sources, they will either die or leave in search of food elsewhere. These bugs love to eat carbohydrates. But remember they can survive for up to a year without food. However, it is still important to take their food source away. Carbohydrates are usually sugars and starches. For silverfish, they will eat paper, clothes, cardboard among other items. Therefore, documents should be locked up and kept in a cool place. Else, you will find your documents full of holes, and your clothes full of yellow stains. Please, do not risk your property getting ruined by these insects. Silverfish depend on moisture and food to survive. To get rid of them, you only need to get rid of both moisture and food. You can start by vacuuming your house. Silverfish will even feed on hair strands that have fallen off your head. Also, silverfish like damp areas. If you live in a wet area, and you have no leaks, then you need a dehumidifier. You can also run your air conditioning more often to prevent an infestation. This can make a big difference to your living condition at home. Purchase a sticky cockroach trap, or make a home-made silverfish trap, to trap these pesky little insects. Clean your house using a vacuum regularly to avoid these bugs from nesting in your home. 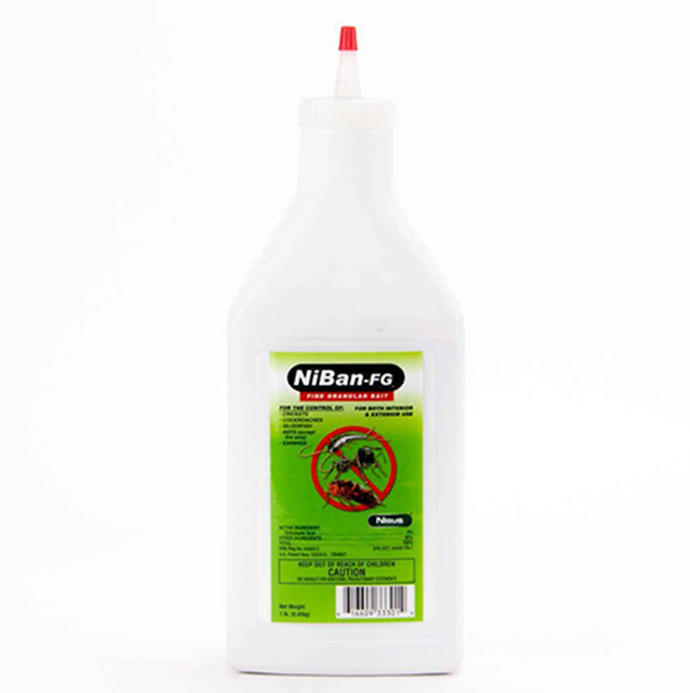 Kill these bugs with either a chemical insecticide, such as Niban® FG, or a nonchemical solution like, diatomaceous earth. How to Prevent Silverfish from Getting inside your House? Prevention is always the best way to get rid of silverfish. This is something you should keep in mind for your health and the cleanliness of your house. This saying also goes together with your mission to learn how to get rid of silverfish. Prevention is the best way to get rid of them. Silverfish are small animals that cannot fly. But they are small enough to fit through the smallest cracks in the mortar around your home. Since they are commonly found in tubs and showers, closets and attics, and garages, the clue here is to make these spots unfriendly for these creatures. They flourish in a dark, cold and moist area. If silverfish stay in a place where they cannot get any moisture, they will die. They can only live up to 1 year without food. However, with their quickness they can quickly find new sources of food. This means drying out areas where they can hide out is the key to prevention of these pests. If you decrease the amounts of moisture in your house this increases your chance to getting rid and repelling these pests from your house. Keep your basements and attics well ventilated as well. This way you are less likely to draw in moisture that attracts these pests. If you live in a highly humid area, you can purchase a dehumidifier to reduce humidity of your place. Silverfish love to feed on starchy items. This means adding starch to your clothes is a terrible idea if you would like to prevent a silverfish infestation. Also, if you can keep your rooms cooler than 50 degrees or so it can work wonders because it can impede the infestation of these insects. In general, they prefer a temperature between 70 and 80. A humid and a hot area in your house is your shower area or bathroom. To prevent any silverfish from entering your home, close your shower door after showering and run the ventilation fans to get rid of the moisture out of the room. Concerning your storage, do not stack your boxes directly on the floor, and make sure to keep them away from walls. This will help in silverfish prevention as there will be no room for them to hide in the corners. If you want to learn more about other pest infestations go to http://www.atticpestauthority.com to find more about them and the solutions on how to get rid of these pests.